This week marks the 82nd birthday of Nobel Peace Prize honoree Archbishop Desmond Tutu. He's the founder of the Desmond Tutu Peace Foundation and it's his desire to inspire young people to build a world of peace within, peace between and peace among one another. One of the ways he believes this is possible is through the ability to forgive. His book, "No Future Without Forgiveness," highlights what he learned while working with the Truth & Reconciliation Commission in South Africa regarding apartheid. One of his quotes that hits home with me is, "forgiving is not forgetting; it's actually remembering - remembering and not using your right to hit back. It's a second chance for a new beginning. And the remembering part is particularly important. Especially if you don't want to repeat what happened." I believe one can forgive and still remember in order to help others on their journey. headed to meet Eva Kor, a Jewish woman who survived the Holocaust, Auschwitz and was victimized by Dr. Josef Mengele, a Nazi doctor who did experiments on twins in Auschwitz. 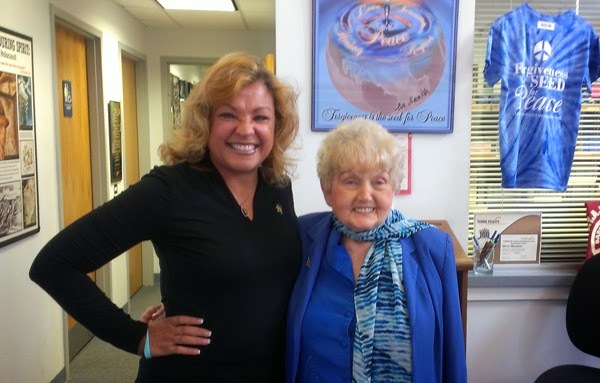 As I shared, Eva is the founder of the CANDLES Holocaust Museum and Education Center in Terre Haute, Indiana. The museum's acronym stands for "Children of Auschwitz Nazi Deadly Lab Experiments Survivors. 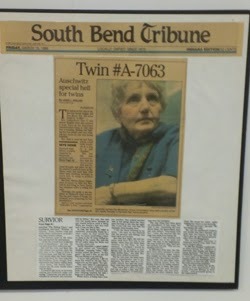 While visiting with her and spending the day at the Museum and Educational Center, I received a copy of her book, "Surviving The Angel of Death: The True Story of a Mengele Twin in Auschwitz." I was somewhat surprised to learn Archbishop Desmond Tutu wrote a piece proclaiming her book to be an important document showing the strength of the human spirit and the capacity to forgive. Before traveling across country to meet her, I never knew there was a connection between Desmond Tutu and Eva Kor, although it's very befitting. Forgiveness is universal. My experience in meeting with Eva Kor was quite interesting. When we talked about our lives and how forgiveness was important for both of us to heal and move on we connected in a special bond. During the course of our conversation we spoke on various topics, and although we may not agree on everything, we do believe that if there's any hope for the future of mankind we must all learn to forgive. We all have our own roads to travel, or as my grandmother would say, our own "row to hoe," but what we all have in common is at the end of the day we want to be loved and we want peace in our lives. 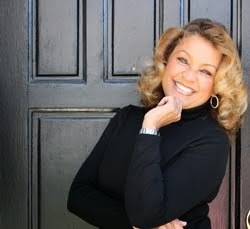 I challenge you today to release the pain of your past for the beginning of a brighter future. It does begin with us.